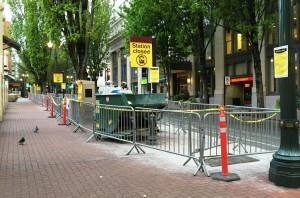 The Pioneer Square North station was one of 9 stations to close during e-fare construction due to tightness and crowds. 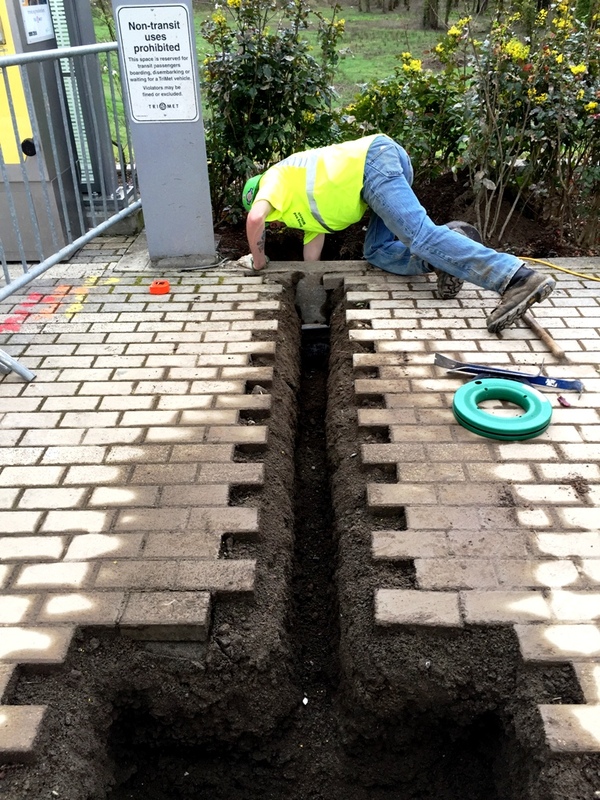 Construction to lay the foundation necessary for TriMet’s future state-of-the-art electronic fare system is well underway, with the initial installation complete at 25 of the more than 90 MAX and WES stations. While the majority of platforms are staying open during the construction, 9 stations do require closures for the work. The Convention Center MAX Station is one of those. It will be closed in both directions Tuesday, May 26 through Friday, May 29. The sidewalks next to the platforms will remain open. Use the nearby Rose Quarter Transit Center or the NE 7th Ave Station. 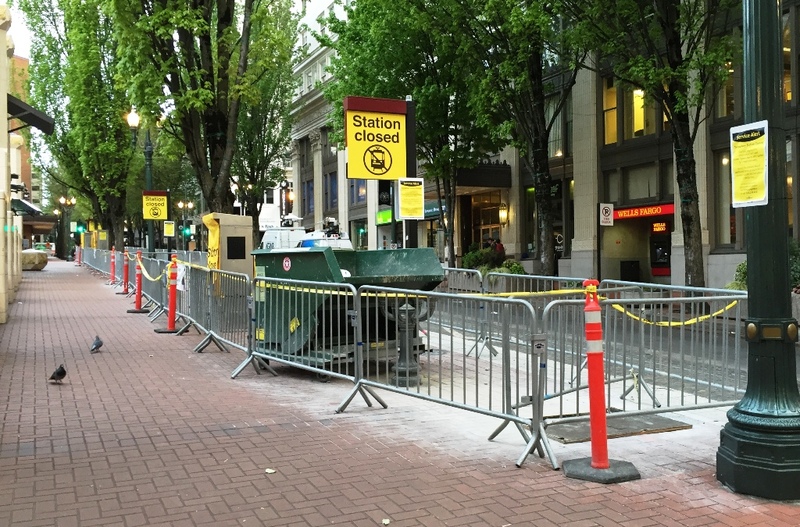 The work also is underway currently at Yellow Line stations in north Portland and other stations in downtown Portland. Those stations are open during the construction with small areas blocked off. The installation has been completed at all the Green and Red Line stations along I-205 other than the Gateway Transit Center. Multiple crews are doing the work in order to complete the initial construction by the end of the year. 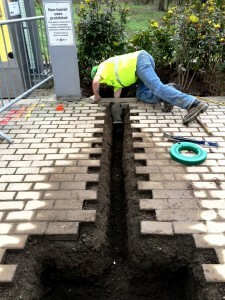 Crews are trenching and laying the conduit that will power e-fare readers. Crews are trenching and laying conduit for steel masts and e-fare card readers that will go in at a later date. When the e-fare system is up and running, scheduled by the end of 2017, it will make riding buses and trains faster, easier and more convenient. You will be able to pay your fare by simply tapping a transit-only smartcard, a contactless payment card or a smartphone equipped with near-field communication against a card reader.